The work explores a wide range of themes and represents the creative talents of teens from across Henrico County. 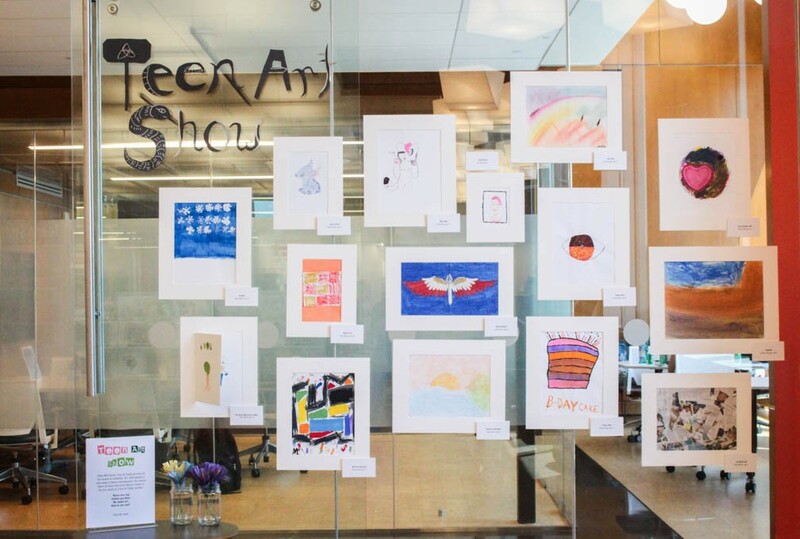 A large portion of the work was created throughout the summer's Open Studio series where teen artists of any skill level could come in, utilize the library's supplies, and submit their work. The artists also played a large role in the layout and installation of the show. Thank you to everyone who came to the opening this past Wednesday. The show will be up until early September, so stop by and check it out! Teen Art Studio happens monthly at both Libbie Mill Library and Varina Library. See upcoming studio programs here.